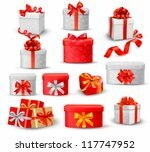 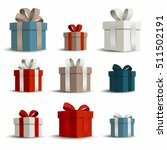 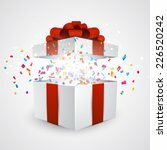 Red vector present box with golden ribbon on a white – grey background. 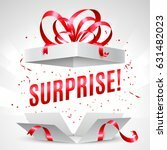 You can write your text below the box. 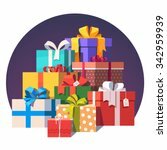 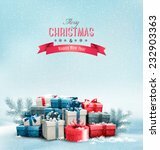 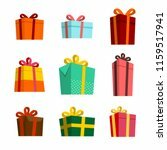 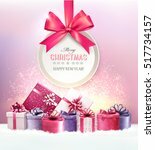 Download this free christmas vector gift box in the EPS format.